Below is a summary of my experience at Aviara Golf Club. It was great! Golf – and a lot of it! The first golf round we enjoyed was Aviara Golf Club which was a short drive from our hotel. Aviara is quite famous in the golf circuit for hosting the recent Ladies Professional Golf Association (LPGA) Kia Classic in March 2014. This is an extreme high-quality golf course which takes enormous skills to play. The course was full of beautiful scenery with wonderful waterfalls on many holes. The putting greens were insanely impossible because they were too fast to stop the ball and every putt had difficult twists and turns to navigate. Aviara was fun but I’m glad we only played it the one day or else I would have lost all my golf balls and not had any for the rest of the week! 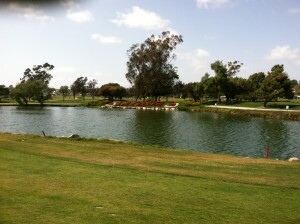 The next two days we played golf at La Costa. They have two courses. One is the Champions Course and the other is the Legends Course. 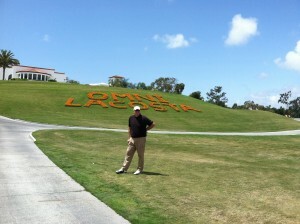 The first of the two days playing the La Costa courses was on the Champions Course. I think I played fairly decent and ended up shooting a 105 score which is about my average however this course was much more challenging than what I typically play. So, not too bad all-things considered. Day two of playing the La Costa courses was on the Legends Course and this was a ‘best ball’, ‘scramble’-type format. Instead of everyone playing their own golf ball for each whole, the group of four all takes a shot and then everyone plays from whatever the best shot the group likes. This is a really fun format of golf to play. It makes the round go quicker and everyone gets a chance to contribute. Personally, I sincerely enjoyed my group because we all did truly contribute equally so it wasn’t one person doing all the work. Also, and I can say without any doubt what-so-ever, we talked the most trash of any other group so if there were a prize for that we would have certainly won! 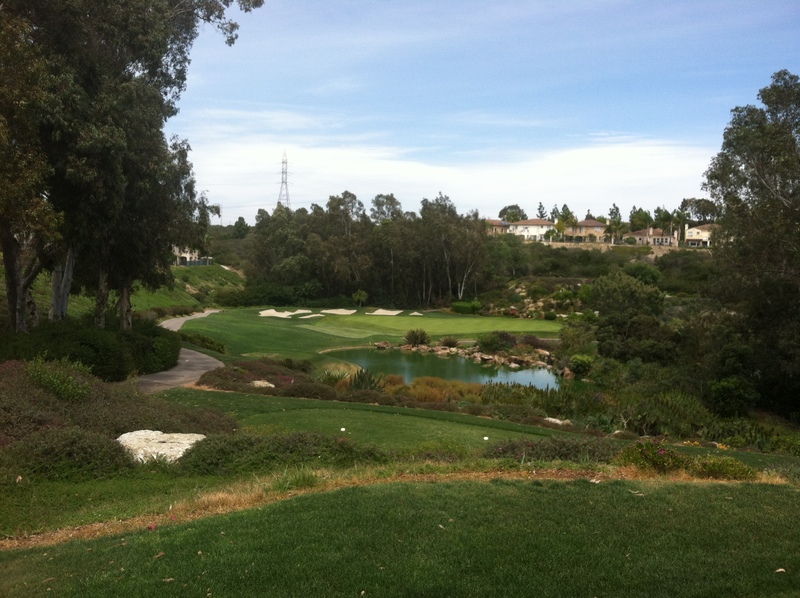 This entry was posted in Course Experiences and tagged Aviara, Aviara Golf Club, san diego. Bookmark the permalink.